Thanks for visiting Poetry on the run. So I am too young and broke to retire but did it anyway. Now I can spend as much time as possible reading and writing poetry. Once upon a time I studied philosophy and linguistics. I live in Rochester, NY with my wife, 2 teenage sons, 2 border collies and a cat. I am soooo glad you’ve found me!!! I’ll be reading you and following you closely! I was truly missing you on Agonia! I am very happy to have found your blog. Certainly it will provide me with hours of interesting reading. Thank you for your kind words. I look forward to sharing poetry and thoughts with you. Happy learning to write better in English, Katrina! I would like to inform you that there are plenty of tips and guidance on my website to assist you in your journey of becoming a better writer and poet. All the best! Thank you very much for taking the time to read my poetry. But all is fair in football and poetry. Best wishes to you. I thought of the possibility when I read you are a Manchester native. Was hoping we could get past any hard feelings. 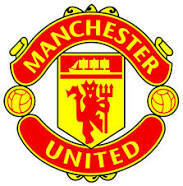 Of course as a Yank I am a Johnny-come-lately to what has become the best rivalry in the EPL. If it is any consolation I do believe the wrong side won the Revolution of 1776. Too bad about Mancini, he always struck me as a class act. I am really enjoying your blog. All the best…Ron. Hello BS, I am always happy to meet and follow a fellow blogger. I like the variety of ideas you offer in your blog. Thank you for taking the time to read my poetry. Well thank you very much…I often feel like the richest man in town. I spent my youth growing nimble scaling the quiet of the river’s edge. The lake then absorbed my transgressions of discontent and disconnect. A starry balm, humid and fishy. Now, when I visit family, I walk the canal….a watery bridge. My guess is you are a “transplant” to Rochester? So glad to find your poetry, Ron. Sometimes I feel as if I’m reading a translation from another language… but as accurate as the needle pinpoints of acupuncture and the sensuality of the smells of childhood. Yes I am a transplant. Spent most of my life getting from one place to another, first as a child without a choice then as an adult out of habit. I claim to be from Minnesota when asked but that’s just a choice I made because being a nowhere man is, well, nowhere. Interesting that you are a native of Rochester…if only we could fully grasp just how small this world really is, more of us might take better care of it. Thank you for being so generous in your comments. Thanks for your nice comments, on my poem “Symphony Number Nine” (on the site: I am not a silent poet). Enjoyed reading your blog! All the best, Paul (Sutton). Paul, your poetry is something wonderful and unique. I look forward to reading a lot more from you. Many thanks. The Symphony in question is Vaughan Williams’s Ninth – which I’ve recently realised is a masterpiece – it sort of links to the subject matter, I guess! Anyway, delighted you liked it. I shouldn’t plug, but I’ve got a book with a NY press, near to you – BlazeVox – it’s called “Brains Scream at Night”. Always plug! I am very familiar with Blazevox. I will look for your book and let you know what I think…I’m guessing I will like it. Do you have a website? BTW thanks for following mine. Nice to read your poetry. My MA is in linguistics. Thank you. I never got past the BA. The opportunity to study language for its own sake is a privilege I was fortunate to have, a long time ago. I just read your poem “The Weight Of Night” over at Vita Brevis and I just wanted to say that you really captured the weight of night in that poem. The descriptions you used are so dead on from deep within the soul! Well done! Thank you. It’s a dark poem written about one of those nights when the world seems to be a conspiracy. Thankfully those nights don’t come along too often. When they do I find peace in poetry and a wee dram of wine.